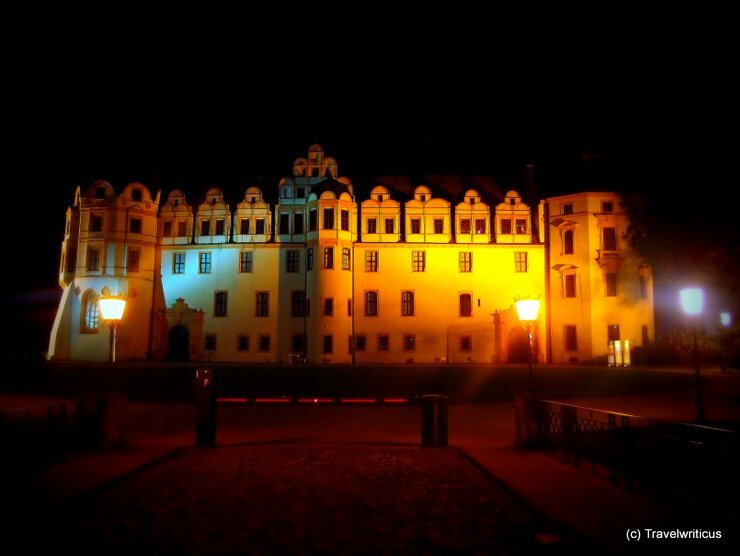 On the way back to my hotel I passed the palace of Celle (Schloss Celle) again. Sometimes a walk around a castle at night is even more exciting than in the dayligt. Especially if you are alone in the streets. What about your experiences? Another different style of portal. The inscription dated with 1631 gives me an interesting insight in the German of the 17th century: ‘Wer Got vetrauwet hat wolgebauwet’. Today we would write: ‘Wer Gott vertraut hat wohl gebaut’. 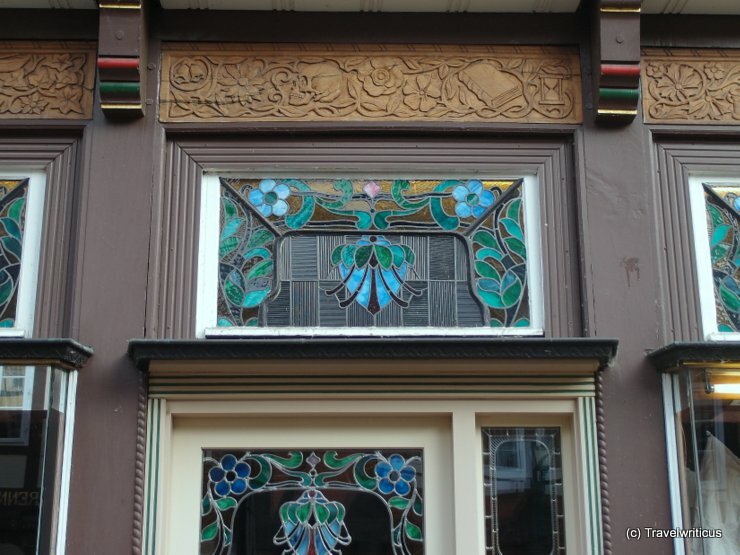 Nice decorated fanlight seen at a half-timbered house in Celle. I am not sure about the style. It seems to be not much older than 100 year? What do you think? 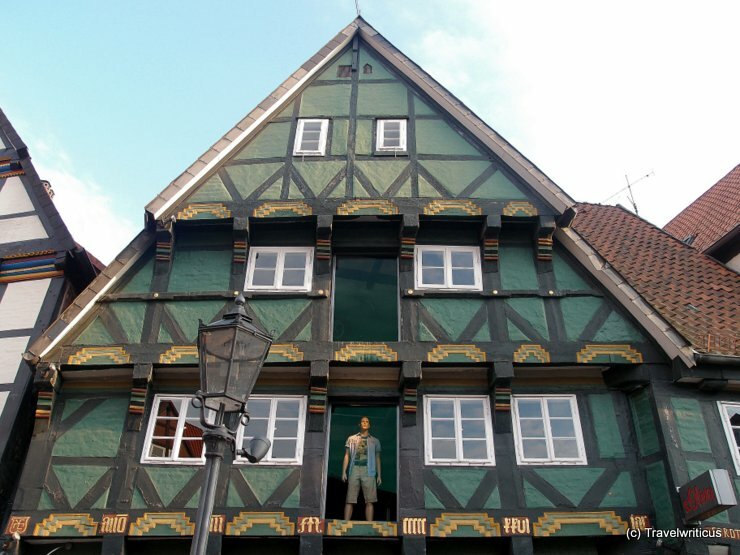 This building is supposed to be the oldest dated house (1522) in Celle. The mannequin indicates that some parts of the building are used for a fashion shop now. At the ‘Stechbahn’ of Celle. The former jousting field of the city was placed here. Though the sculpture is a kind of advertisement for a local bank I love the idea to portray the former use of this place by lances. 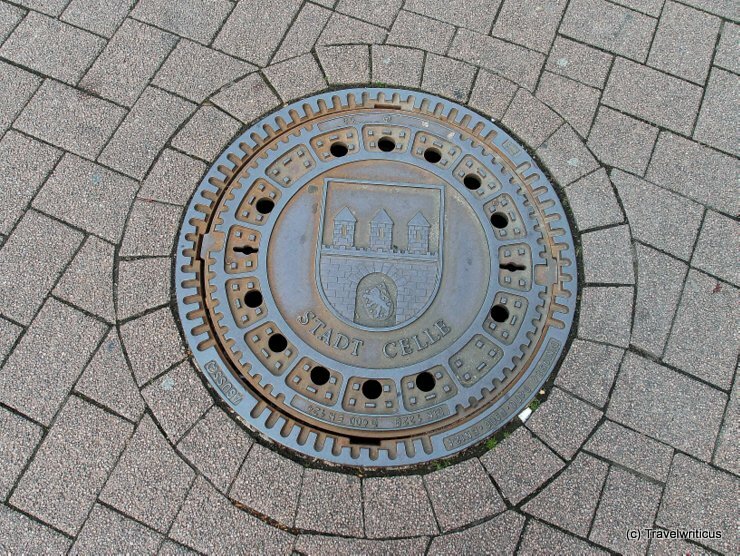 The manhole cover of Celle shows the emblem of the city: A wall with three towers. In the gate there is a blue lion surrounded by seven red hearts. 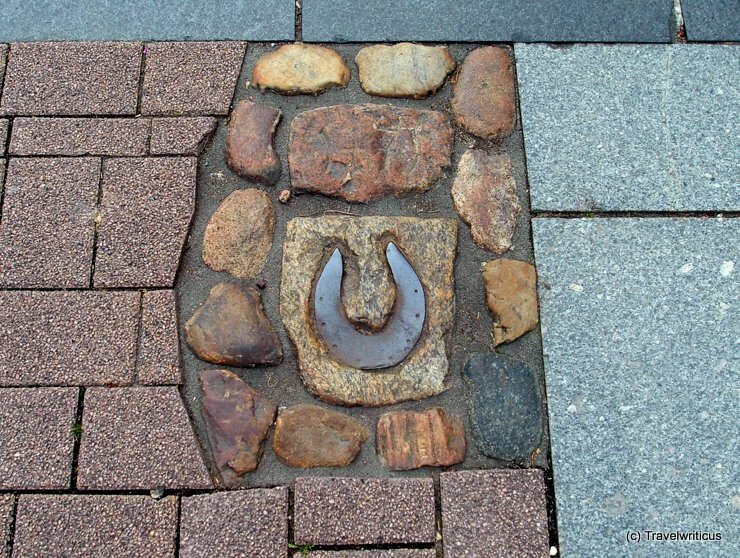 While walking through Celle I wondered what this horseshoe seen at the ‘Stechbahn‘ is indicating? 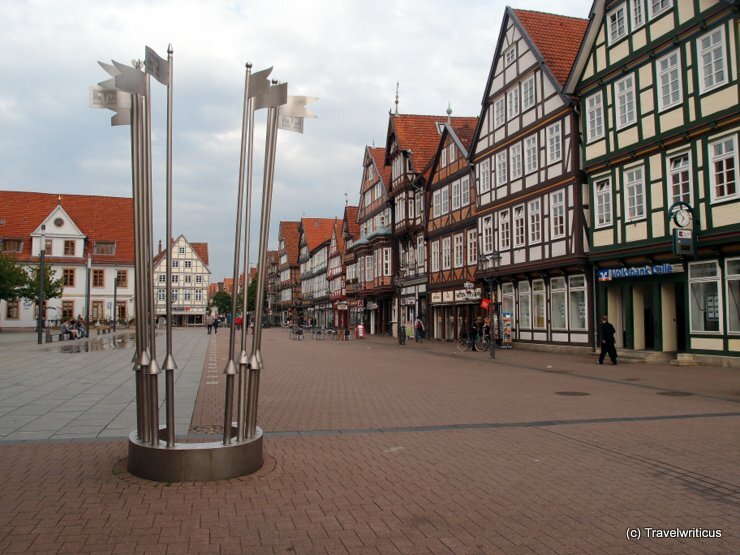 Passersby told me it marks that place where Otto V, Duke of Brunswick-Lüneburg died at a tournament. Hmm, I always thought horseshoes are a sign of fortune? Obviously not in that case. 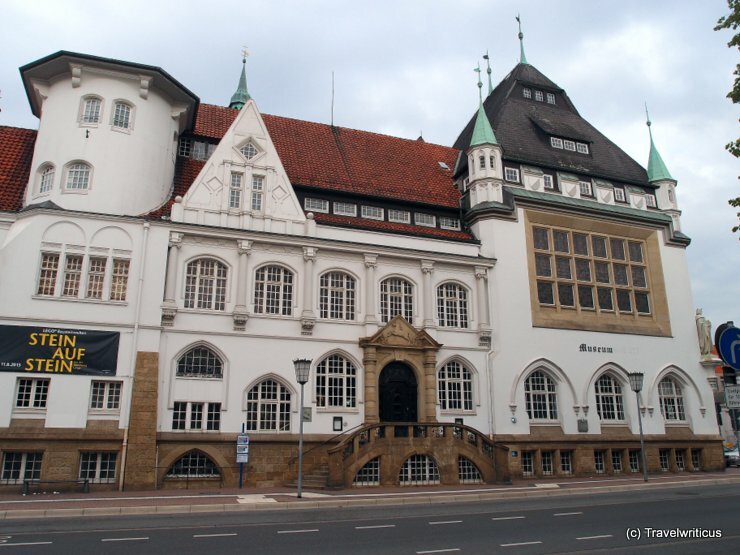 I was very impressed with the architectural style of the Bomann Museum. Do you see how many different windows this building have? What do you think how is this type of architecture called? 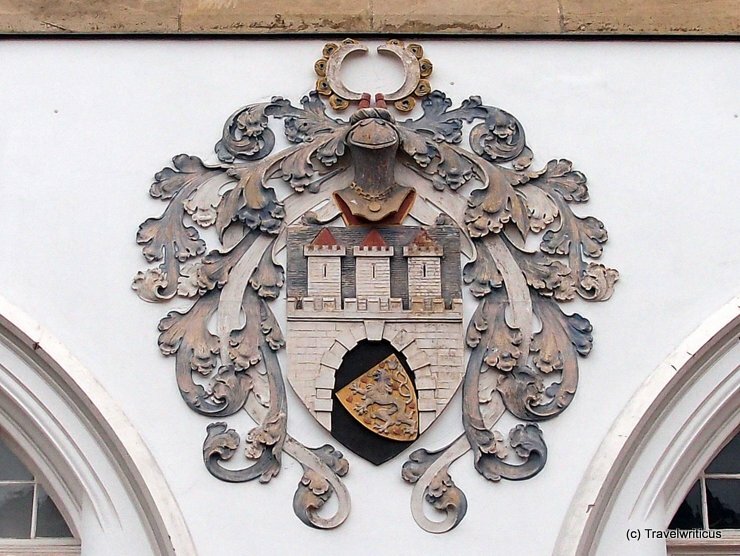 The emblem of Celle seen at the wall of the Bomann-Museum. Well, who of you can ‘read’ this emblem? 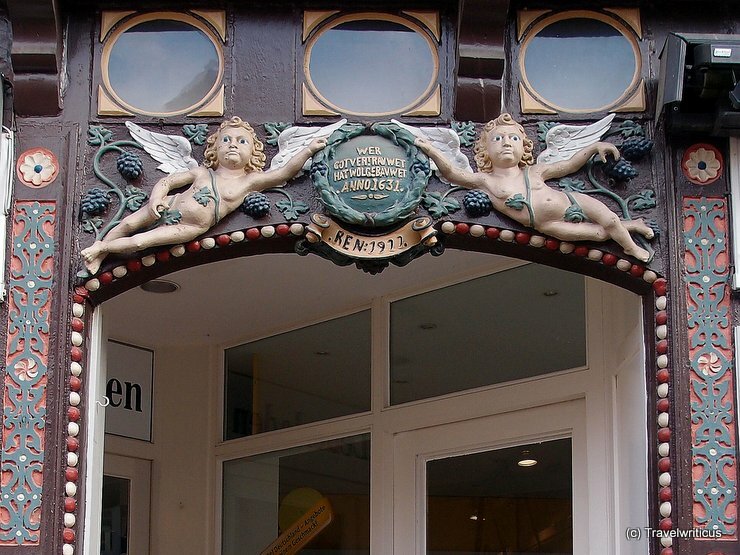 Interesting detail seen at a gate in Celle. 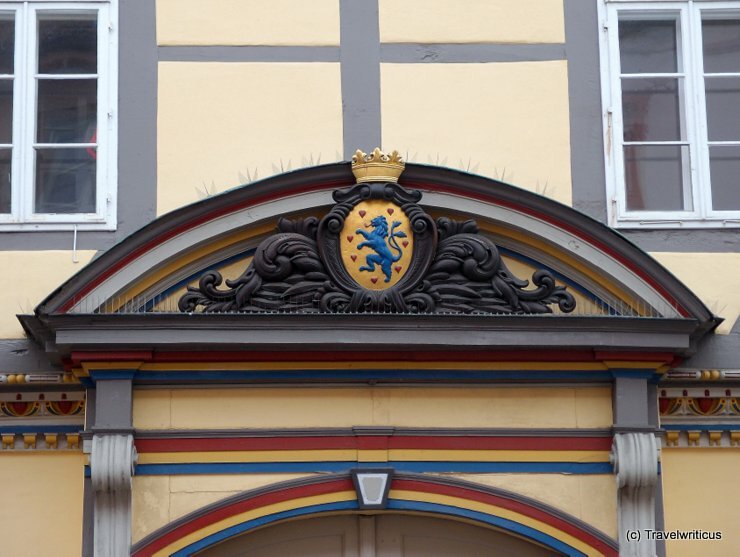 The colours of the decorations are the same like those one in the emblem of Celle: A blue lion in a golden field surrounded by red hearts.